Quick, courteous communication via email can boost productivity and enhance customer relationships, while bad emails can frustrate and antagonize customers, coworkers and others. 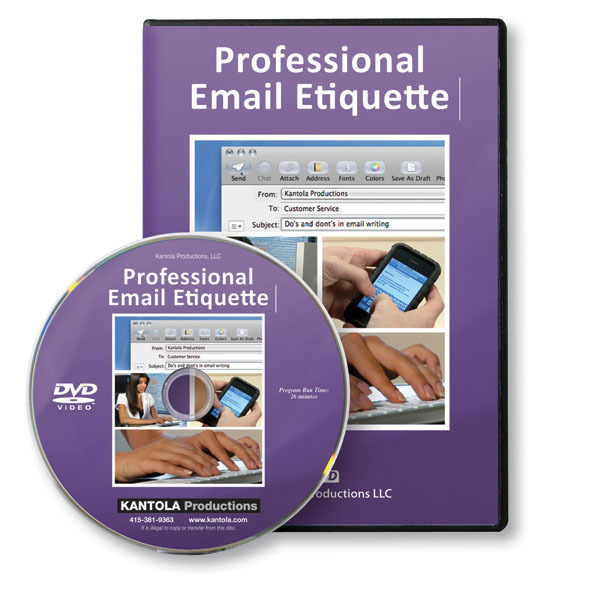 Professional Email Etiquette provides a perfect refresher for experienced frontline reps and a strong grounding in the basics for new staff members. Never write anything you wouldn’t say publicly. Be professional. Proof read before you send. Informal closings are not suitable for business emails. Professional Email Etiquette is guaranteed. We want you and your reps to use this valuable resource and put its ideas to work in your department. Then, if you are not 100% satisfied, you may return your materials within 30 days for a full refund.